Gamma Acosta grew up in Longmont, another poor kid on the street, but he had a gift. Drawing since before he could remember, creativity and problem solving were always on his mind. 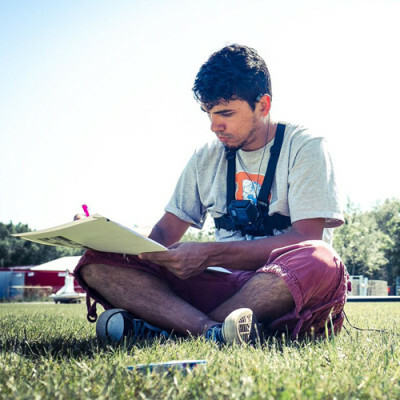 After graduating from school, Gamma did not pursue art for quite some time, it wasn’t until years later and perfect circumstances that he found a new expression, public art. The world was his painting surface, he discovered, and he had a way with a spray can that took him beyond the hardened parameters of street writing. 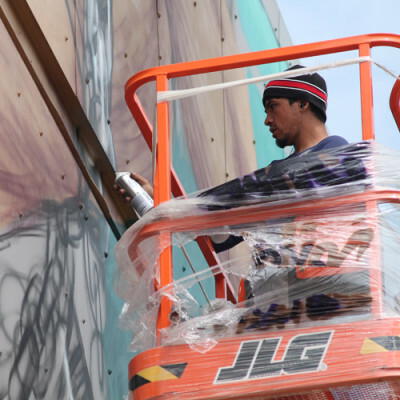 Painting large scale projects of his own design, month after month, his unintended career began to gain speed. 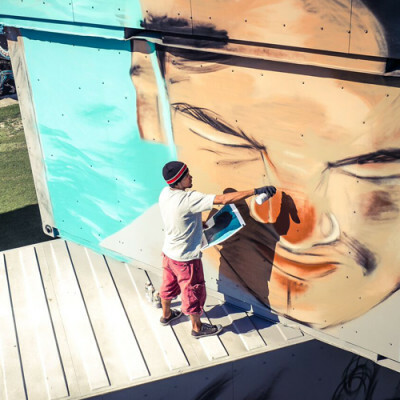 Today, he’s working all the time: creating murals inside and out for businesses and even showing off his talents at Art Basel Miami. Gamma almost exclusively uses spray cans to create the photorealistic pieces he has become known for. 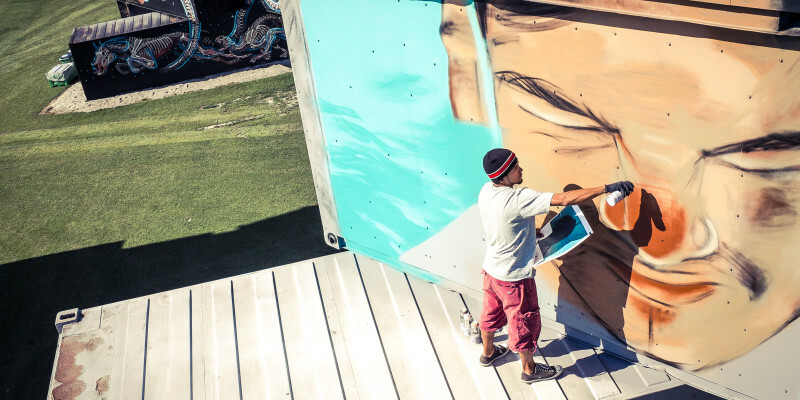 He loves public art because it can be larger than life, and is available to all at any time. After graduating from school, Gamma did not pursue art for quite some time, it wasn’t until years later and perfect circumstances that he found a new expression, public art. The world was his painting surface, he discovered.